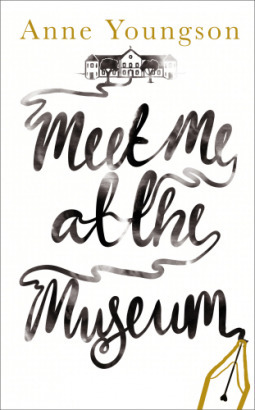 Meet Me At The Museum by Anne Youngson - With Book Club Questions! This is a tender-hearted novel, full of warmth and gorgeous prose. The reader tumbles through the pages, devouring the compelling fictional exchange of letters between the two main characters; relieved that unlike the protagonists, they’re not waiting for the responses to drop through the letter-box and there is nothing to interrupt the flow of this remarkable correspondence. Meet Me at the Museum is about two people who find themselves forming a strong friendship as they engage in an exchange of letters which quickly develop into a more reflective discussion about what they’ve achieved, the ambitions they had and the choices they both face at this moment in their lives. Is it still possible to chase dreams and embrace new beginnings? How can two people, who have never met, guide and lead each other away from the lonely edges where they find themselves staring? After the death of her school friend, and catching her ageing reflection in the mirror, Tina Hopgood is reminded of the Tollund Man, preserved for two thousand years in bog land. She recalls a letter she received as a schoolgirl from Professor Glob at the Silkeborg Museum following her fascination with this ancient artifact and decides to contact him. Now a woman in her sixties, finding herself questioning her own importance and significance as she grieves for the recent death of her school friend Bella, Tina continues to write - even though Professor Glob is also now dead - and so begins an exchange with the museum curator, Anders Larsen. Their letters, which begin with a shared interest in the Tollund Man, develop into something much more significant and important for each of them as through each other, they seek answers to their questions about their importance, their significance and their achievements. Unlike artifacts, these questions are harder to quantify, analyse or justify with facts and figures, but what unfolds is a fascinating conversation where honesty, heartbreak and a complicated acknowledgement about the lives they have led, unfolds through prose which is so well observed, so delicately and poignantly recorded, it feels like you’re intruding upon a conversation between intimate friends and then at other moments, you’re completely mesmerised by the cadence and rhythms which reflect the undulating journey of life. Tina’s first letter is rather directionless and confused. A rambling reflection on how life seems to be passing her by and how the death of Bella has left her dwelling on the visit they never made to the museum in Denmark. Anders’ first response is formal and courteous, inviting Tina to visit the museum. As the correspondence continues, Tina’s open, honest monologue barely veils her underlying anxiety and perplexing concerns but before long, both characters find themselves sharing thoughts, feelings and advice in letters that spill over several pages. It’s impossible not to become embroiled in the dialogue and impossible not to become enraptured with both Tina and Anders. Their diligence and attentiveness to each other in their letters is sincere, genuine and earnest. There is humour and warmth, there is joy and happiness but there is also grief, pain and despair. The initial formality of the letters as the two characters get to know each other, and then the subsequent structure of their responses as they pick up where they left off, respond to another’s point, bring up to speed with the details of the day to day or suddenly find themselves asking searching questions, cleverly mimics the ups and downs of life and the uneven pattern of a true and authentic dialogue. The novel captures the fluidness of friendship, the fluency of thought and then the broken, unfinished conversations that so often get left hanging in the air as life interrupts and the present moment– unseen to the reader – distracts them from their reply. Youngson’s ability to capture such a level of emotion and such a depth of characterisation through these letters is highly impressive. When Tina started this correspondence as a reaction to her grief and sudden feelings of insignificance, she ‘thought I would gain more from putting my thoughts in writing than I would in receiving your replies.’ But she is wrong. Just as any reader who thinks they will not gain much from eavesdropping on this exchange of letters - which sway from academic and philosophical discussion, to familial chat, to almost letters of love - will be if they think there is nothing they can gain from this book. As all the greatest novelists knew and in defence of an art form we all forget to make time for too often, letters can be powerful, hurtful, sad, uplifting and ultimately healing. The ending is as moving and heart-wrenching as the opening, but the reader has to leave both the characters to continue their journey alone. It is a perfect ending though I find I am bereft. I’m still watching for the postman to bring me Tina’s next letter. Through sharing their stories, and through offering reflection and compassion in their responses, this treasure chest of letters (which should be wrapped in gold ribbon) ponder on friendship, the passage of time, hopefulness and personal ambition. Meet Me at the Museum explores how a shared interest in history and nature leads to the most unlikely, yet most affirming and heartwarming of friendships. 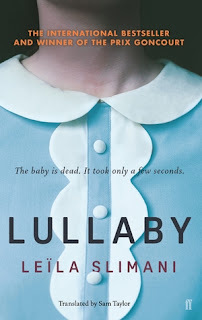 Youngson’s novel will appeal to fans of Carys Bray, Claire Fuller, Claire King, Frank Backman and Sarah Winman. And will leave everyone reaching for their fountain pen, their address book and for fresh sheets of stationery. 1. ‘Your letters are making me think.’ At the beginning, what do you think Tina considers the purpose of her letters to be? And, initially, why do you think Anders continues to reply to her? Is there a point when this changes or is it more organic? 2. ‘Knowing as much as you do about those who lived long before us and who have left so little that is significant, do you not stumble over your own unimportance?’ Do you think this question, asked by Tina at the start of the novel, is ever answered? 3. What other big questions does the book ask? 4. ‘All my married life I was waiting for something to happen and hoping it never would. Now I am hoping for something to happen and fearing it never will.’ What does the novel say about the passing of time and the life choices we make? 5. Why do you think the author decided to use letters? Would the relationship between Tina and Anders be the same if the novel had opened with Tina meeting Anders at the museum? 6. And what if Anders had never replied –would Tina have kept writing? How might her life have been different if this had just been a series of diary entries from Tina? How might that story have ended? 7. At one point the characters discuss writing in email instead. If the correspondence had been via email, how might the structure, tone and atmosphere of the novel been affected? How might it have affected your reading? 8. There is a lot of description or repeated mentions of key objects that matter to each of the characters. List some of them. 9. There is also a lot of discussion about how to categorise objects around the house ie: which are used, useful, broken or ornamental? How does this metaphor represent some of the bigger themes tackled in the novel? 10. Although the only characters in this book are really Tina and Anders, we do get introduced to a lot of other characters as they talk about their partners and children. Which secondary character would you have liked to hear from or learn more about? 11. If you could start a correspondence, who would it be with and why? 12. What does this novel say about death and the past? 13. ‘My life has been devoted to the past, to small and unchanging man-made objects. You have lived in the great space of the natural world, where everything changes’. How else are Tina and Anders different? How are they similar? What is it that makes them such well-suited companions? What do they gain from each other? 14. We only learn about the characters from listening to their thoughts – which are all written thoughts. How effective is this in building a picture of the characters in the readers mind? Did you want more physical detail? How did you picture them? 15. Meet Me at the Museum is a very intimate conversation between two people yet also a very universal one. What were some of the most intimate moments in the novel? And what were some of the more universal? Which did you enjoy most or find most affecting? 16. On the last pages Tina says, ‘Isn’t this where we started?’ Is it? Has nothing changed by the end? 17. Will Tina visit the museum?